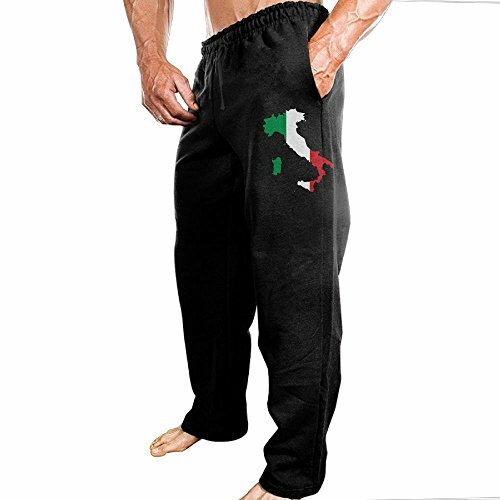 Italia Italy Italian Map Outdoor Sports Trousers. Do Please Note:Please Be Advised To See Our Size Chart Below For The Accurate Fit & Order One Size Up. M Size:Waist 72cm/28.3" Length 109cm/42.9"
L Size:Waist 76cm/29.9" Length 111cm/43.7"
XL Size:Waist 80cm/31.5" Length 113cm/44.5"
XXL Size:Waist 84cm/33.1" Length 115cm/45.3"
XXXL Size:Waist 88cm/34.6" Length 117cm/46.1"
Aware That Size Might Slightly Differ Depends On Actual Body. This Jogging Pants Will Have You Coming Back For More. Soft Material And Fashionable Design,sweatpants Are Great For Men Or Teenager;sweatpants Is Made Of Cotton,high Strength,breathable,shape Retention,so You Don't Worried About The Shape And Quality After Washing. Our Goal Is To Provide The Latest Trends,as Well As Basics,to Satisfy Style-conscious Customers Without Sacrificing Quality And Cost. If you have any questions about this product by TERTR4E4, contact us by completing and submitting the form below. If you are looking for a specif part number, please include it with your message.